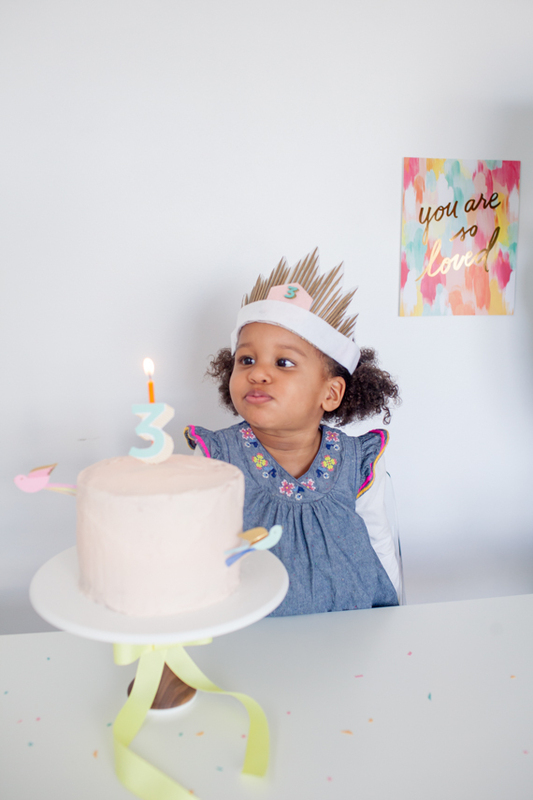 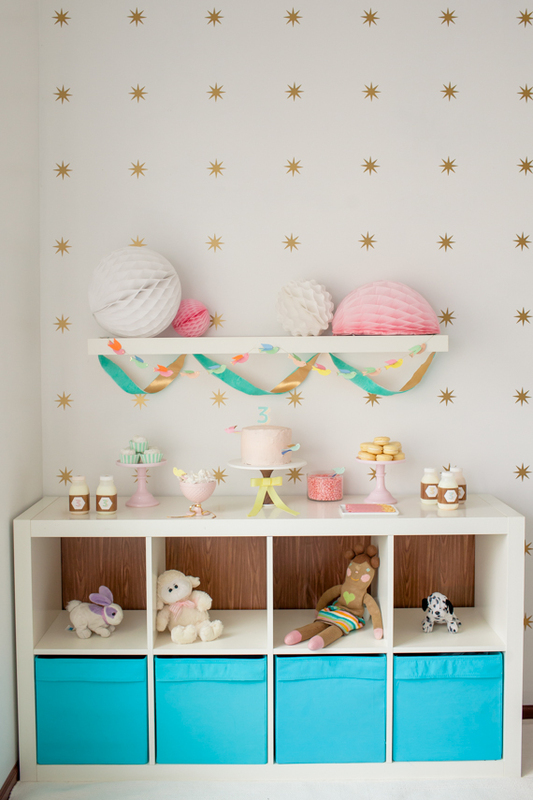 You know I L-O-V-E a good party, but I was determined not to go overboard planning, decorating, and designing stuff for my girl's third birthday. 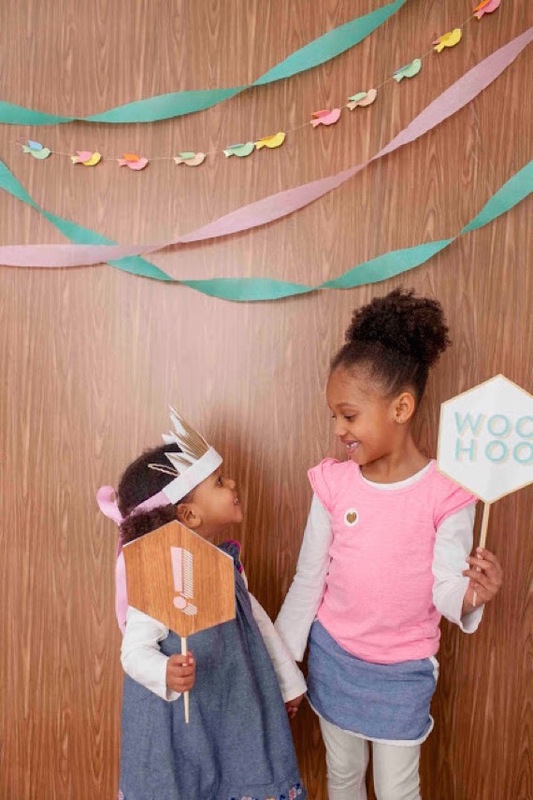 So, instead of inviting over a million of her tiny friends or renting out a bounce house venue, I temporarily converted my office into the perfect party spot for her birthday party. 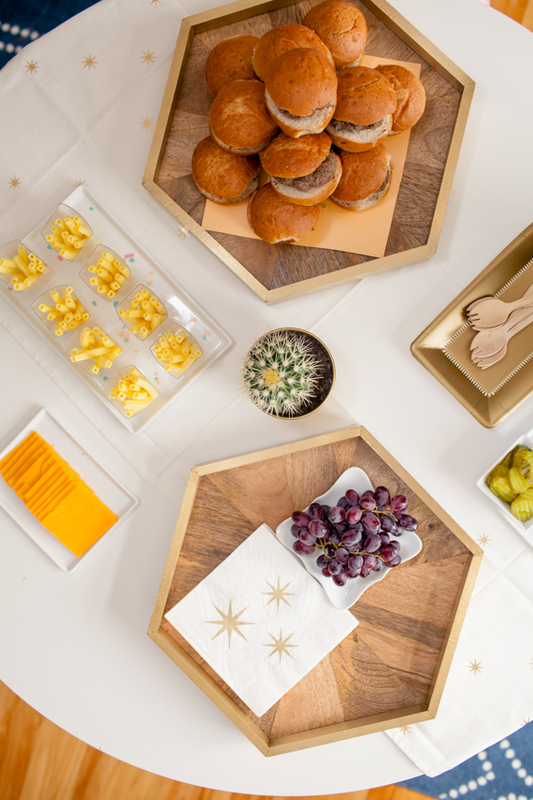 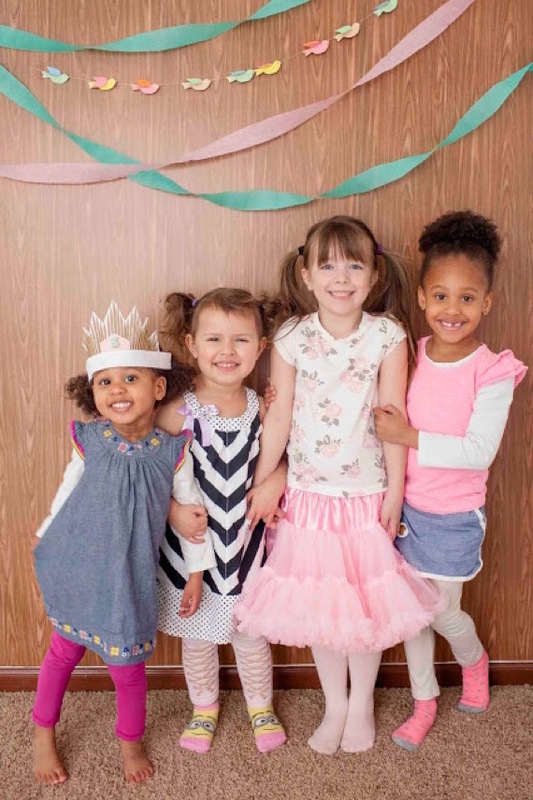 Her only request was that her closest little friends and a cake be in attendance at her soiree, which photog Sydnee Bickett captured beautifully. 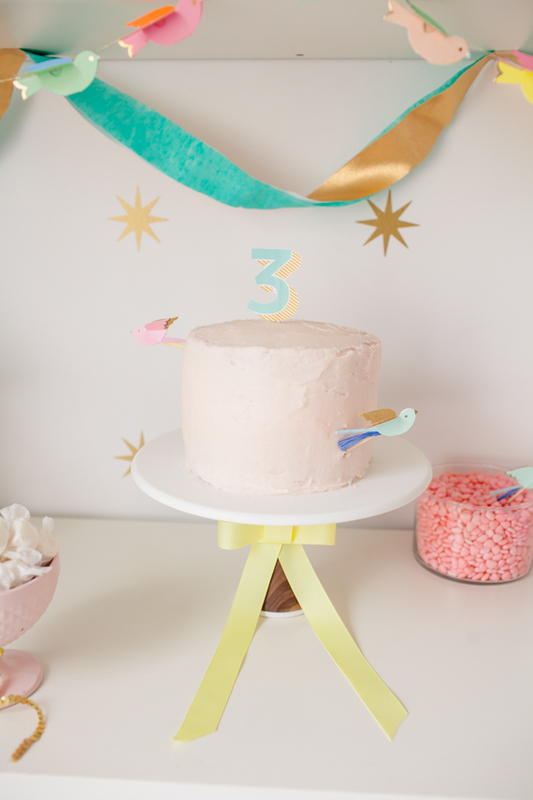 Along with sliders, powdered donuts, and popcorn, the girls devoured vanilla ice cream and my strawberry cake. 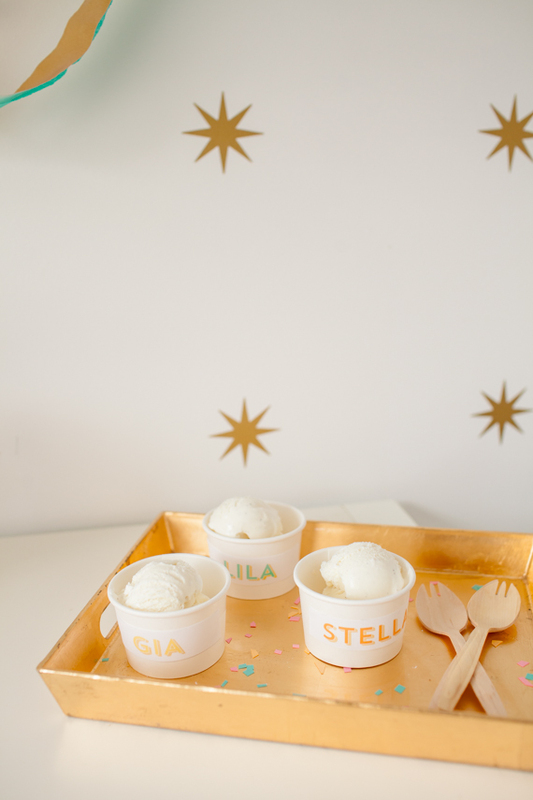 I customized labels with each girl's name to decorate the paper ice cream cups from Sweet Party Shop. 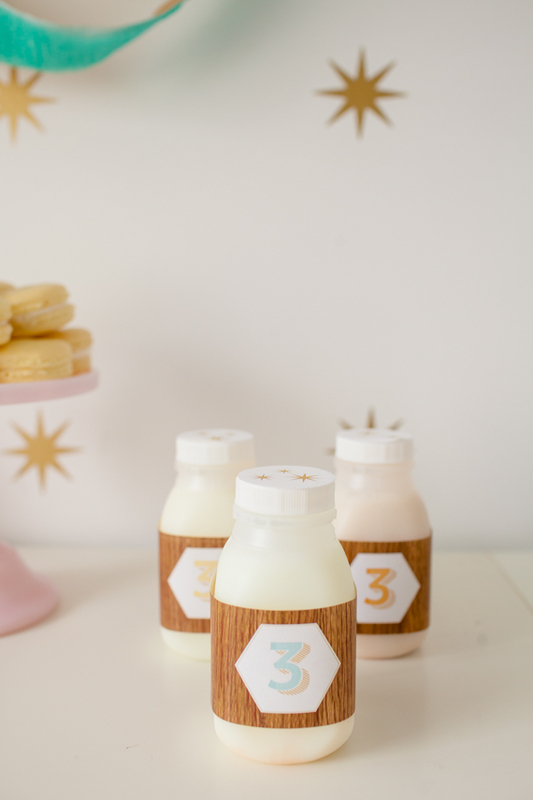 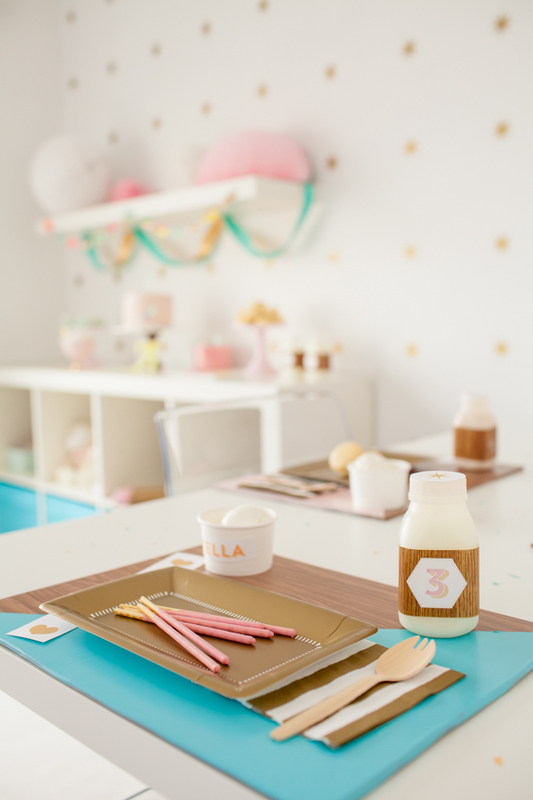 I also designed faux bois labels for the milk bottles to add a natural element to the all-white room. 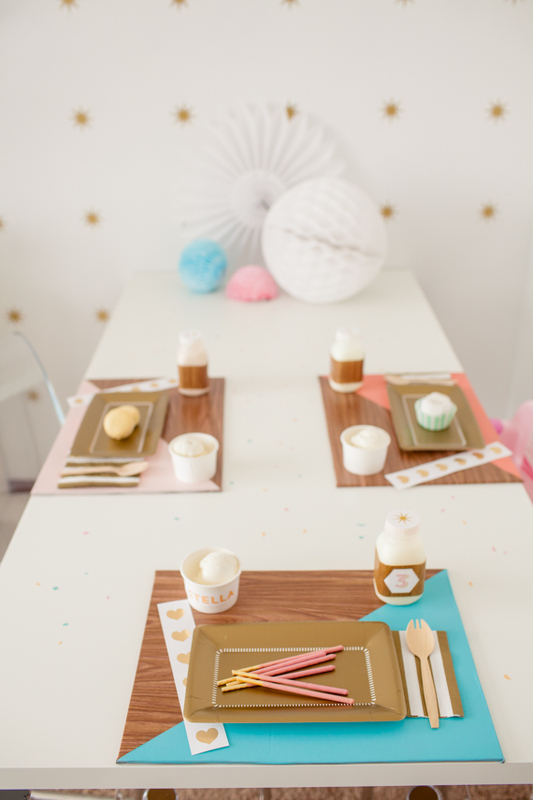 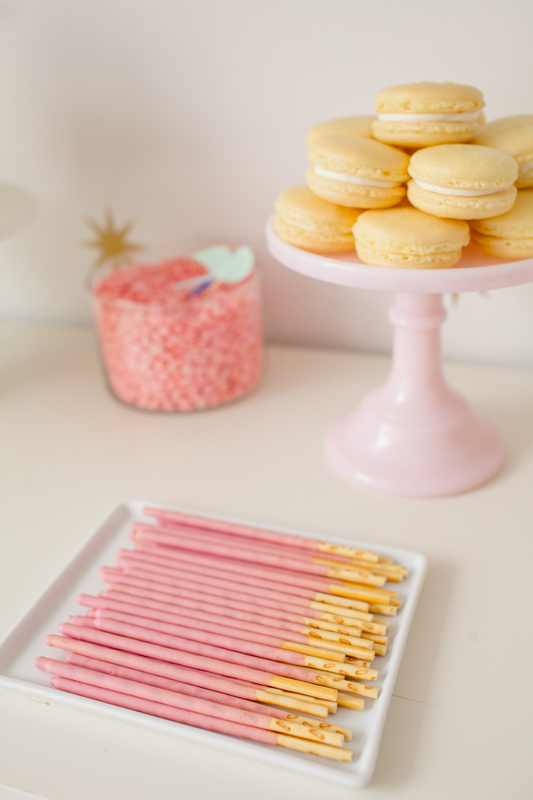 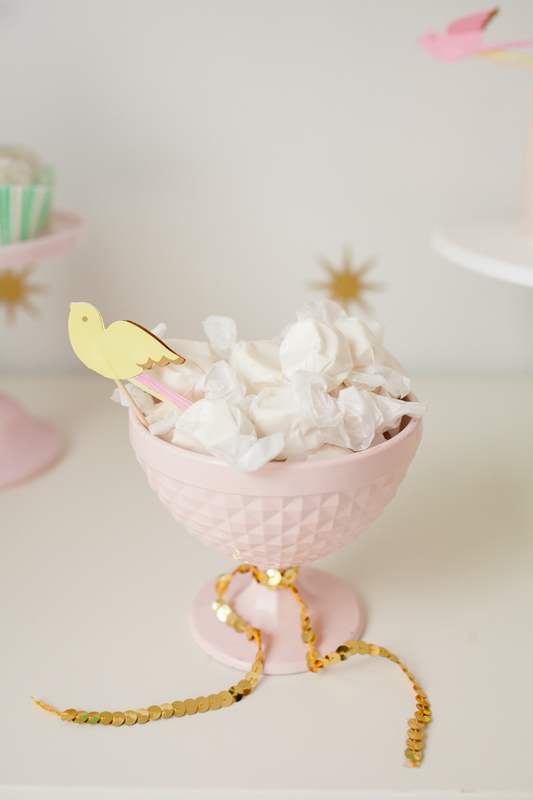 Land of Nod's birdie garland and cupcake kit added a bit of whimsy to the dessert table that really kicked up the color a notch. 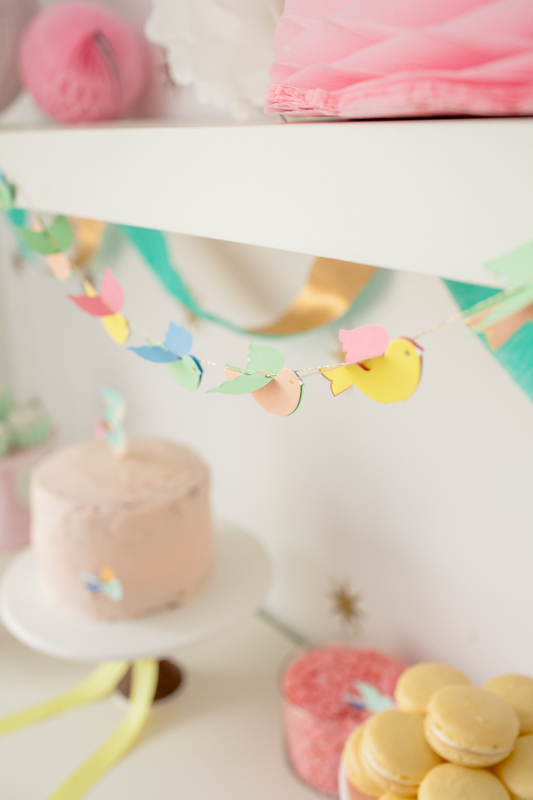 The birdie garland also added a fun touch to the faux bois backdrop I made for the photo booth. 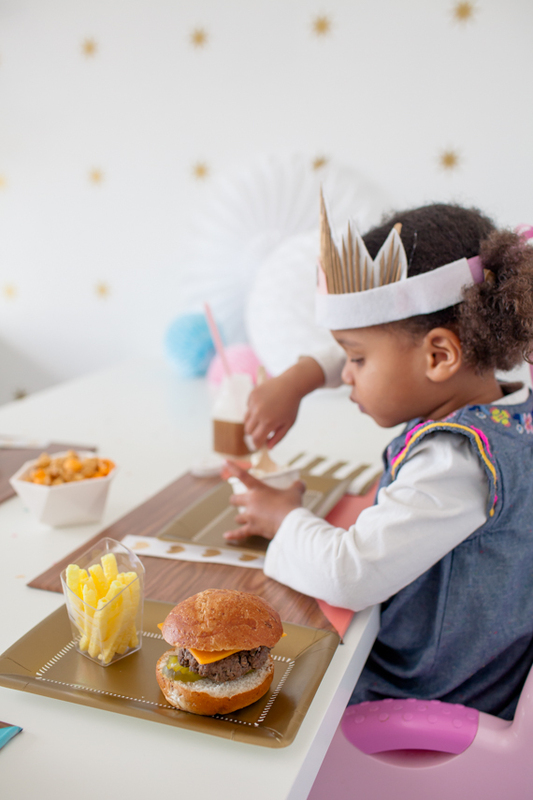 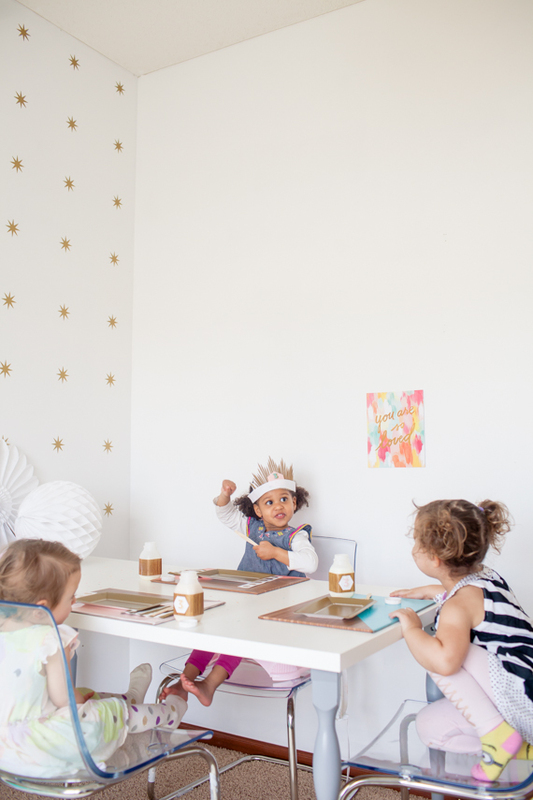 Lila smiled happily with her sister and friends as she wore the a DIY starburst birthday crown I made for her. 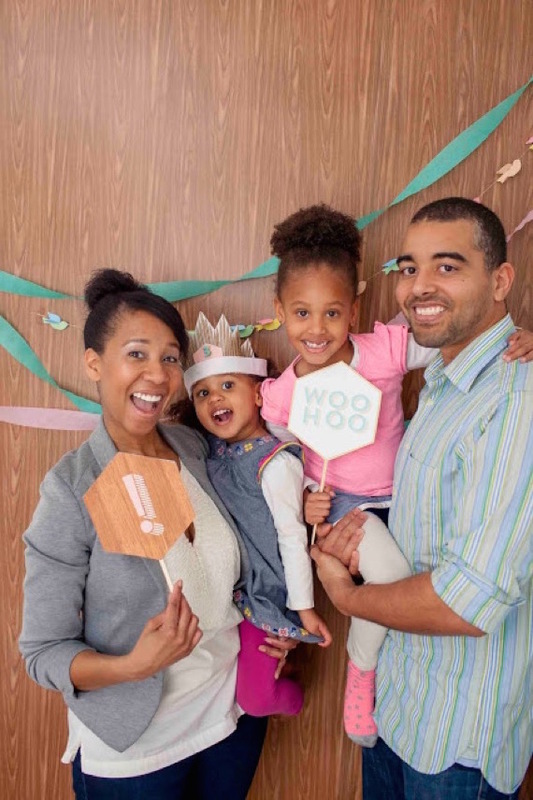 Sydnee even managed to snap a picture of us all smiling, which is basically a small miracle.